1) I'm sure many of you will remember Phillip Wylie's Friesian stallion, Lucas, from THE FIERY CROSS. What you may not know is that Diana Gabaldon's German translator, Barbara Schnell, owns several Friesian horses. The photo above comes from Wikipedia (and no, that's not one of Barbara's horses, but I like the wild, untamed look of the stallion in that photo). 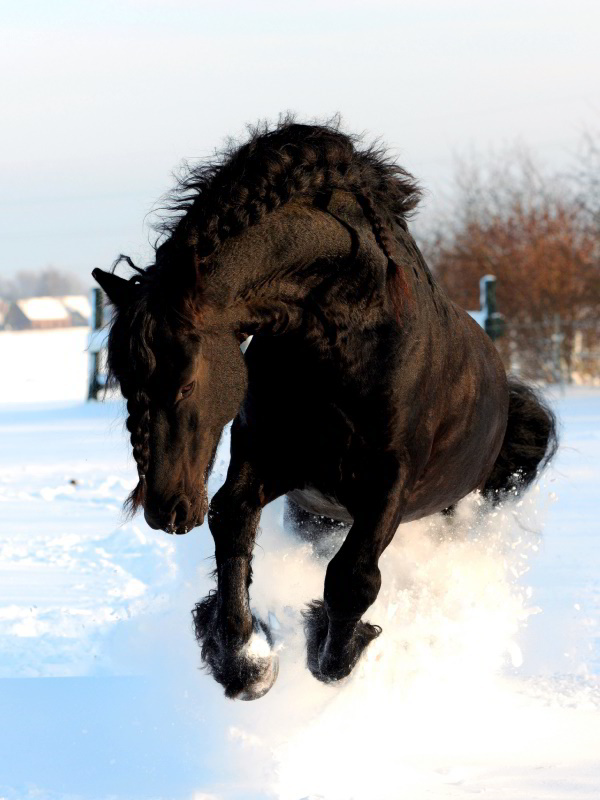 This photo, which Barbara was kind enough to share with me from her personal collection, shows one of her Friesians, a stallion named Apollo. Click on the picture for a bigger view. You can see more of Barbara Schnell's photos of her Friesians, Apollo and Talisker, in this photo gallery. (Barbara says, "Lucas, Talisker's sire, inspired Lucas in the book.") And here's a video showing a young German equestrian, Jessica Süss, riding a Friesian named Zorro at a competition in 2010. Zorro died in 2012, but he was a beautiful horse. Thanks very much to Barbara for sharing the pictures and links with us! 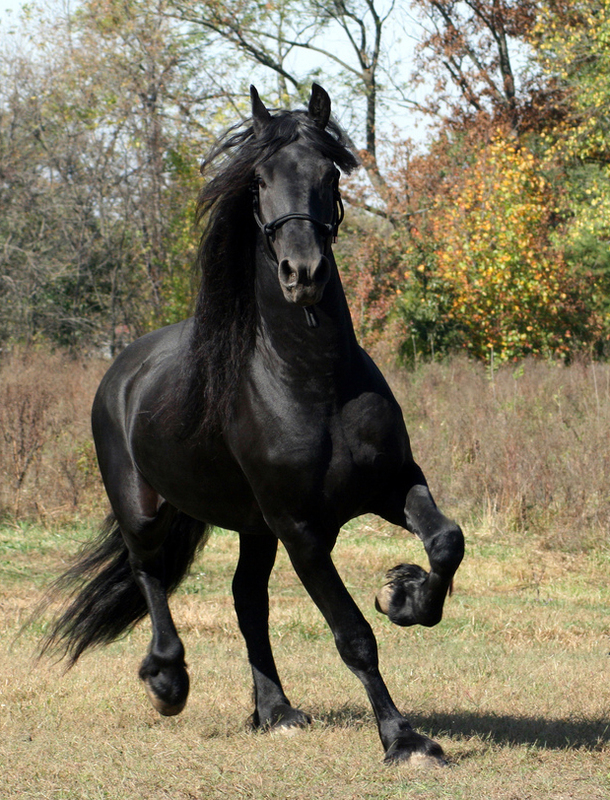 For more information about Friesians, visit the website of the Friesian Horse Association of North America. 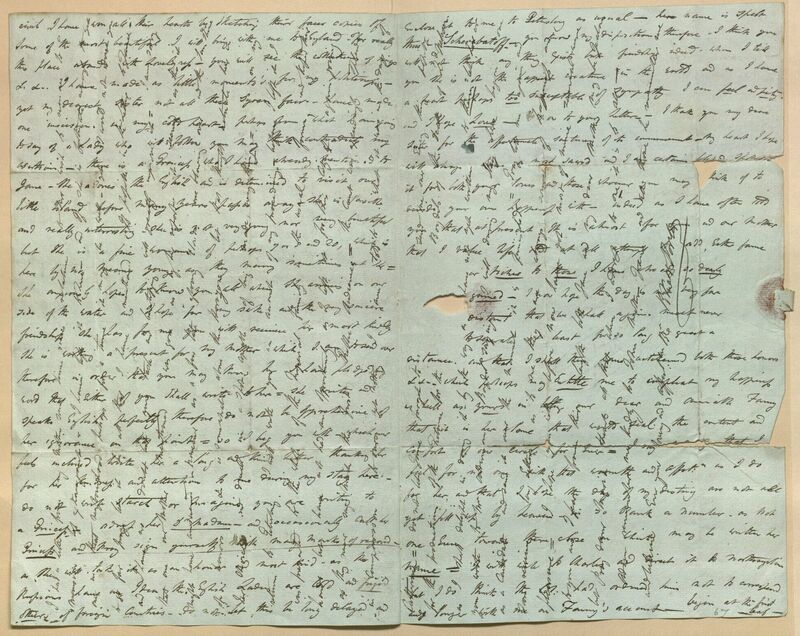 2) Until I read THE FIERY CROSS, I'd never heard of people writing letters both horizontally and vertically to save paper, but apparently this was a common practice in the 18th century. Crossed letters began to decline in use after 1840, when the “Uniform Penny Post” was established in England, allowing letter-writers to send domestic mail a rate of a penny per 1/2 ounce (thus the name “penny post”), regardless of distance, payable in advance by the sender. 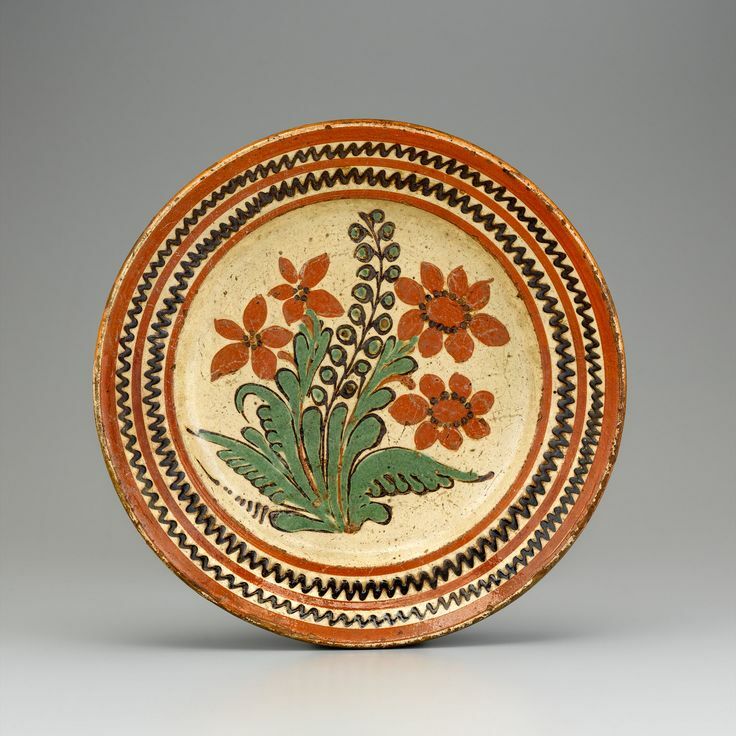 My mom and I saw an exhibit in 2013 at the NC Museum of History in Raleigh, NC, featuring many examples of 18th and early 19th century Moravian and Quaker pottery from the area around Salem and Bethabara (near what is now Winston-Salem, NC). 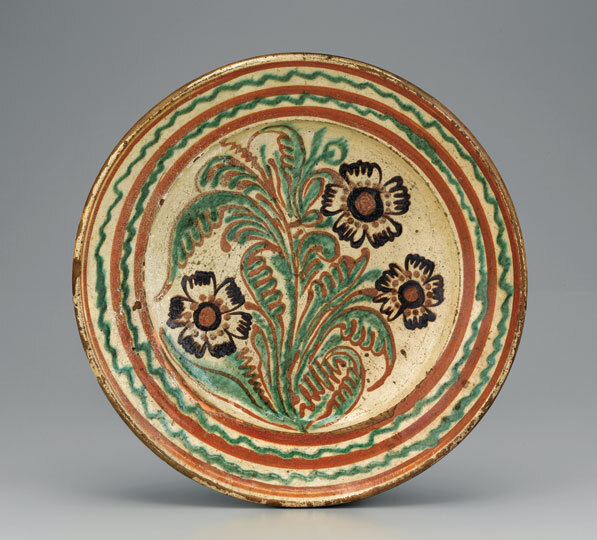 Some of the pieces are really quite beautiful! 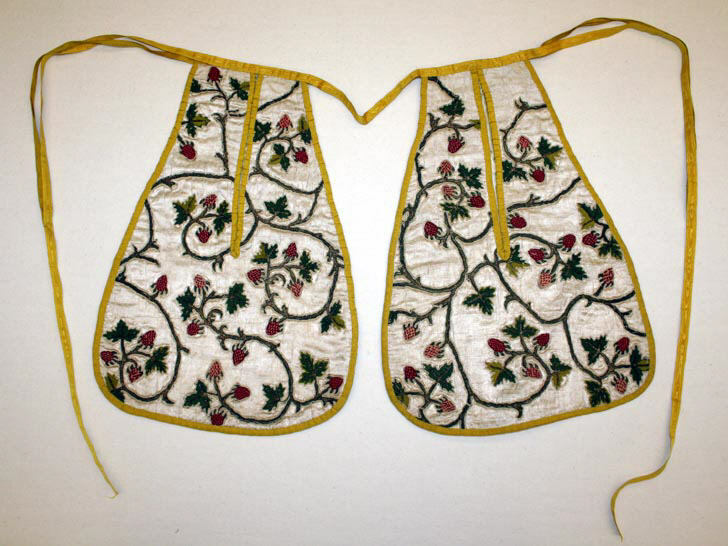 Here's a PDF file with more information, including photos of many of the pieces we saw in that exhibit. 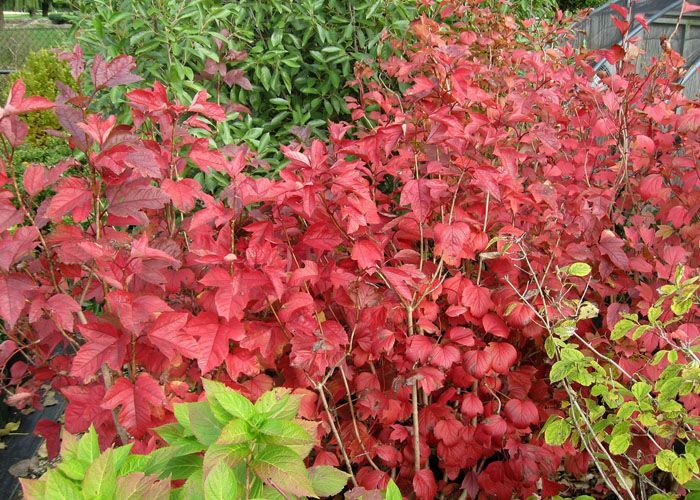 5) The photo above shows what a nannyberry bush (Viburnum lentago) looks like in the autumn, around the time of year that the Gathering in THE FIERY CROSS took place. Thank you so much for your FFFs. They are so informative and the pictures are great. You give us super background info and wonderful explanations of new things I've encountered for the first time in a The Books. Hello! The Friesians have been my favorite horse since I saw one at the Lexington Horse Park. Magnificent! I read all of the Black Stallion series, loved the movie adaption. Do you know of any breeders in NC? I'd love to visit. I am in Asheville and would like to make connections with other Outlander fans here. Am considering starting a Meetup group. Would love to get together to talk about the books and then, ideally, to watch the series together. Do you happen to know anyone here who might be interested? I could maybe check through Malaprops Bookstore, too. Also, are you in touch with Diana? I posted on her Facebook page, but I don't think she ever saw it. Hi Lorraine- I am near Asheville and would be interested in making connections also. I would love it if there were a pub or somewhere to watch the series together!